The Merced Police Department is looking for a missing elderly man who walked away from the La Sierra Care Center. FRESNO, Calif. (KFSN) -- The Merced Police Department is looking for a missing elderly man who walked away from the La Sierra Care Center. 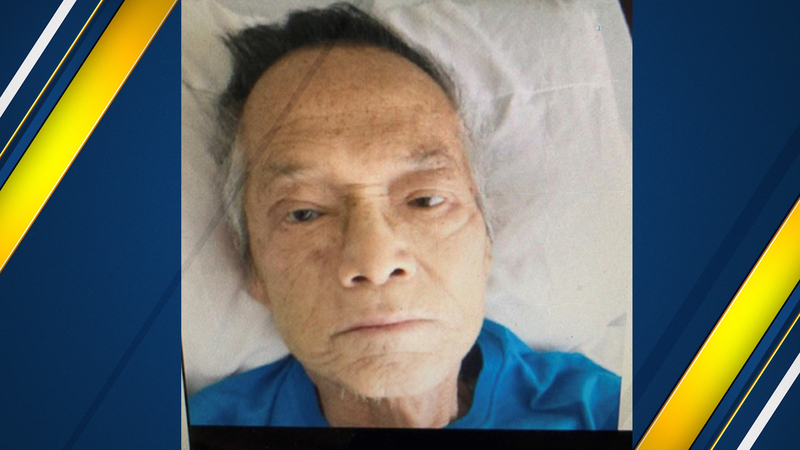 Police say Hong "Frank" Young, 77, was last seen Wednesday night at the care center around 7:00 p.m. They say Young has dementia and short-term memory loss. Police say he is 5' 8" and weighs 107 lbs. He was last seen wearing a plaid striped shirt and grey pants. Merced Police are asking anyone with any information regarding Young to contact Sgt. Perez at (209) 600-2874 or the Merced Police Department Tipster Line at (209) 385-4725. The public can send information via anonymous text messages to police department by dialing "TIP411" (847411).